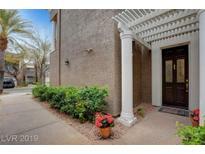 Below you can view all the condos for sale in the Terraces In The Hills subdivision located in Las Vegas Nevada. 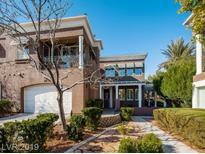 Listings in Terraces In The Hills are updated daily from data we receive from the Las Vegas multiple listing service. To learn more about any of these condos or to receive custom notifications when a new property is listed for sale in Terraces In The Hills, give us a call at 702-930-8014. Microwave, Washer& Dryer, Dishwasher ALL INCLUDED A must see home!!! Buyer to verify all information. MLS#2088535. LIFE Realty District. Carpet needs replacing; $3500 flooring allowance @Floors, etc (buyers choice). Comm pool & spa (near unit) MLS#2080531. Urban Nest Realty. Water and front yard maintenance is included in the HOA. Buyer to verify all information. MLS#2077397. Vegas Realty. Master Bedroom Retreat With New Bathroom (vanities, Sinks, Shower & Tub). New Paint. MLS#2077233. Realty ONE Group, Inc.
Large master with walk in closet, double sinks, separate tub.LEASE BUYOUT-30 DAY MOVE-IN MLS#2076165. Turn Key Property Solutions. Great location close to shopping, freeway access & dining. A must see home! ! MLS#2069590. Realty ONE Group, Inc. Walk to to shopping, library, restaurants. Ready for move-in! MLS#2069254. BHHS Nevada Properties. This Las Vegas two-story is located in a well-kept neighborhood and offers quartz kitchen countertops, quartz master bath countertops, a fireplace, and a one-car garage. MLS#2037264. Opendoor Brokerage LLC. Near Shopping And Community Pool ,Gated Community And Large Bedrooms With Attached Garage..This Is A Gem And Wont Last Long...Location ,Location, Location. Stunner...Hurry! ! MLS#2021839. Realty ONE Group, Inc.